Athens: Greece has reached a preliminary deal with its creditors that should pave the way for long-awaited debt relief talks, the Greek finance minister said Tuesday. "The negotiations are concluded," Euclid Tsakalotos told reporters, according to state agency ANA. 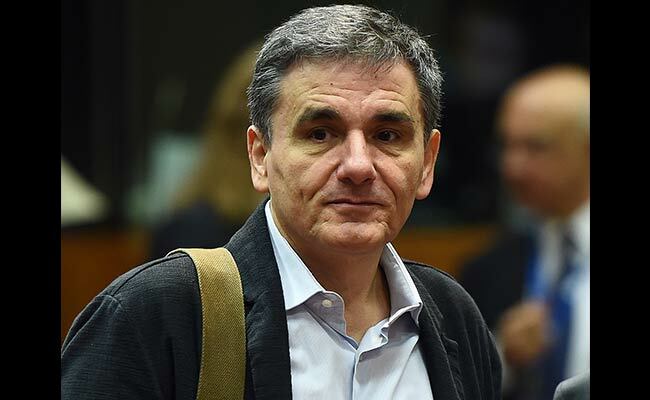 After overnight talks, Tsakalotos said a "preliminary technical agreement" had been achieved ahead of a May 22 meeting of eurozone finance ministers, which is required to approve the deal. Tsakalotos added he was certain that the agreement would enable Greece to secure debt relief measures from its creditors, which he has said is vital to spearhead recovery in the country's struggling economy. "There is no excuse of lack of agreement" in the talks, he said. A compromise is required to unblock a tranche of loans Greece needs for debt repayments of seven billion euros ($7.6 billion) in July. Under pressure from its creditors -- the European Union, European Central Bank and the International Monetary Fund -- the government agreed earlier this month to adopt another 3.6 billion euros ($3.8 billion) in cuts in 2019 and 2020. A government source on Tuesday said pensions are to be cut by 9 percent on average, ANA said. The measures are to be approved by parliament by mid-May. However, Prime Minister Alexis Tsipras has said he will not apply these cuts without a clear pledge later this month on debt-easing measures for Greece. The nation's debt in 2016 stood at nearly 315 billion euros or 179 percent of output, up from 177.4 percent in 2015. "Debt relief will be needed to find a solution," Eurogroup head Jeroen Dijsselbloem said last week. Athens also hopes to be finally allowed access to the European Central Bank's asset purchase programme, known as quantitative easing, or QE, to help its return to bond markets. According to reports, Greece also agreed to slash tax breaks by 3,000 euros from 2020 and sell up to 40 percent of state electricity provider PPC's coal mines. Over 10,000 people demonstrated against the cuts on Monday, and a general strike is to be held on May 17. Greece and its creditors agreed a third, 86-billion-euro ($94-billion) bailout deal in July 2015. But the IMF has so far refused to take part after two prior programmes on the grounds that the targets were unrealistic and Athens' debt mountain unsustainable. Additional debt relief for Greece has proved a contentious point for many of its European creditors including Germany, where additional concessions are unpopular with a general election looming in September. In an interview Sunday, German Finance Minister Wolfgang Schaeuble said a May 22 deal was feasible "if the (Greek) government respects all the agreements." "Greece has made progress, the last figures are positive. But the government has not yet fulfilled all the agreements," he said.